Last Winter Tourism Ireland commissioned Eneclann research director Fiona Fitzsimons to research the Irish family history of Princess Charlene of Monaco. The Fagans owned Bulloch Harbour from the 1580s until 1692. 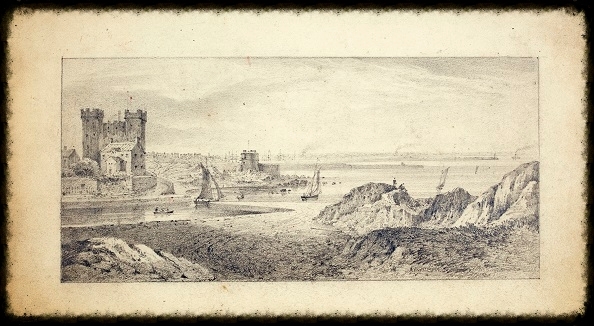 Bulloch Harbour was the deep-sea port for the city of Dublin, and was the source of the Fagan’s immense wealth and influence. Hyacinthe Rolande, natural daughter of the Chevalier Fagan. 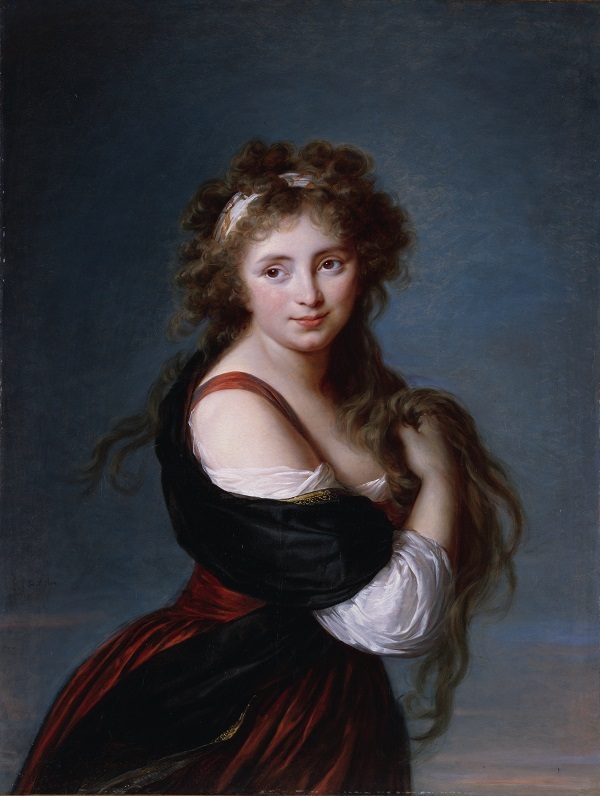 Portrait painted 1791 by Elisabeth le Brun. From L-R: Prince Albert; Princess Charlene; Finola O’Mahony, head of Europe; Tourism Ireland,Rory Montgomery Irish ambassador to France; and Fiona Fitzsimons of Eneclann. 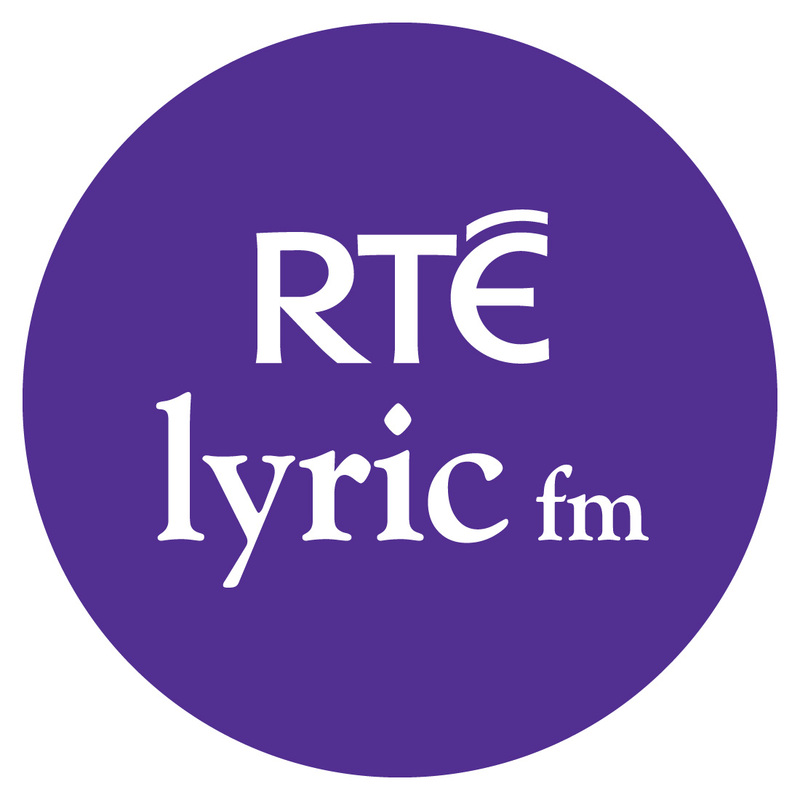 Click on the link below and have a listen to a short clip of Fiona’s interview on the research of Princess Charlene. Lunch time talks in NLI so far. The Twentyx20 Lunch-time talks are proving very popular with numbers of over 50 each day. 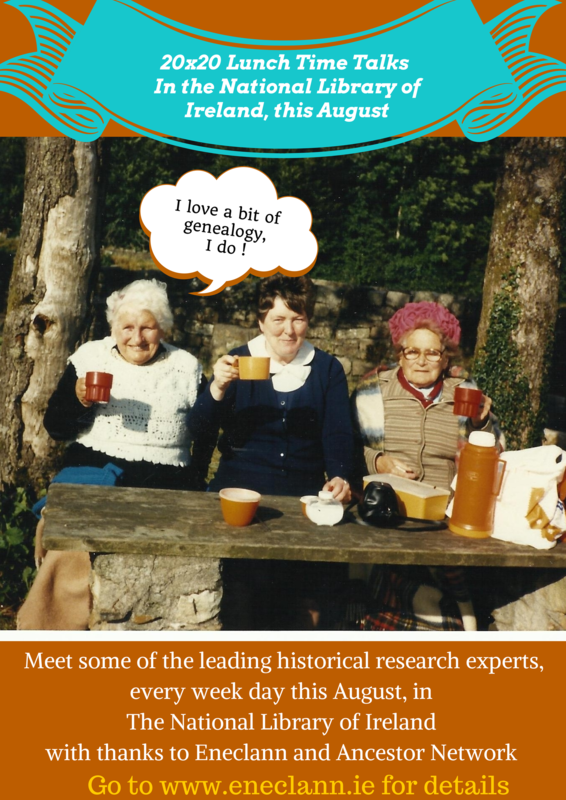 What’s great to see this year is that it’s not just the same familiar faces, we’re reaching a fresh audience interested in family history. On Tuesday the 5th of August,Catherine Murphy T.D. attended. She was enthused to see such a large crowd in the Library to attend the talks. 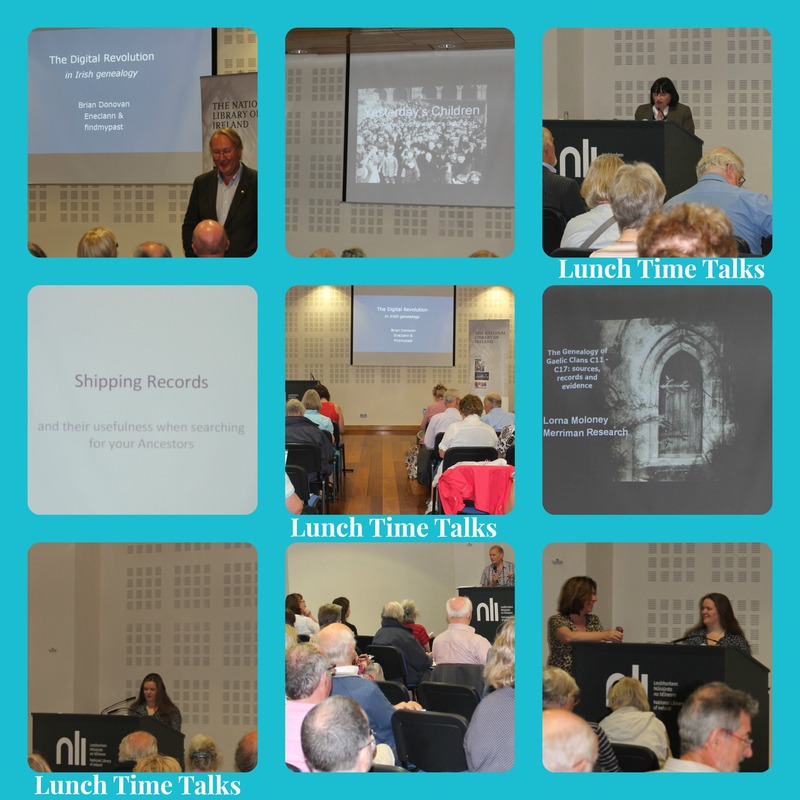 On Friday the 1st of August, Brian Donovan spoke about the digital revolution in Irish family history. Since 2003, over 120 million historic Irish records have been digitised and published online. Brian gave an overview of the key collections online for genealogy research. He discussed the trail-blazing “Partnership Model” adopted by findmypast, that ensures the rights of data-owners (of records). Online publishing has improved access to the records; made research easier; and transformed genealogy from a minority pursuit into a popular hobby with a mass audience. also show that Ireland was a pluralist society beforeNe Temere.Family history has become main-stream because in the modern world, we use it to construct our own personal identity. Reviews for speakers from the 6th of August will be included in our next newsletter. Monday 11thPaul McCotter,N.U.I Cork,Researching the history of Irish surnames and clan-names. 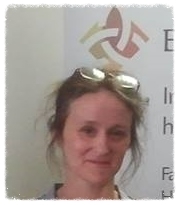 Thursday 14thHilary McDonagh,Ancestor Network,Genealogy and sporting records-from sporting Laurels to Family Trees. 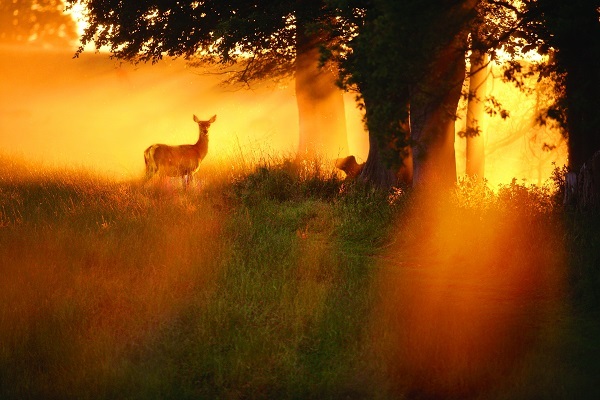 Friday 15thJacinta Prunty,N.U.I Maynooth,Did you come from Dublin dear? Understanding Dublin city through maps. The service is free to all visitors of the Library. 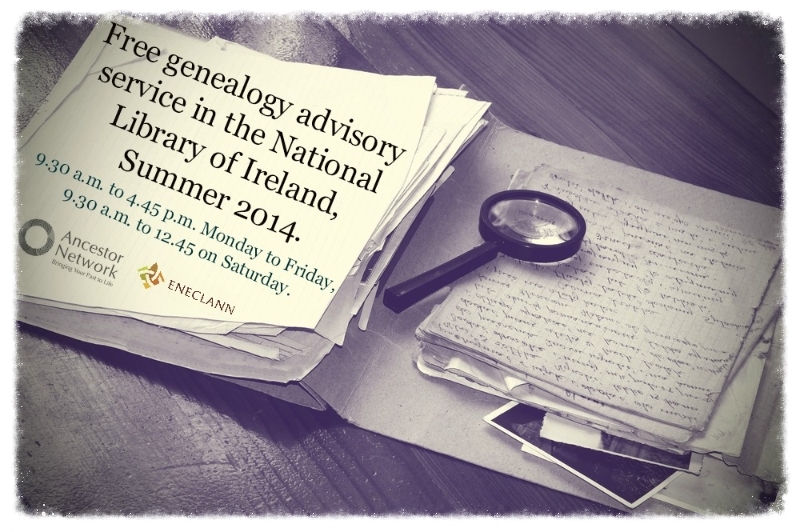 Venue:Dublin City Library and Archive.Address:144 Pearse Street, Dublin, Ireland. Free access to records on findmypast. Demonstrations on how to use the online records. This two day event promises to be a real humdinger! Introductory and advanced sessions will focus on surname origins, genetics and genealogy, civil, church and military records. For those who really want to dig deep, there are expert sessions on the Registry of Deeds, and Irish sources for children in care 1840s to 1990s. The U.S.National Archives (NARA) will also make a rare appearance in Ireland, to introduce the use of U.S. immigration and Naturalization records. Have a listen below toLyric FM, as they promote the event with an ad. I’m constantly surprised by the number of people undertaking genealogical research who have their notes written on the backs of envelopes, scraps of paper etc. My tip for this week is get yourself a sturdy notebook (ring-bound notebooks eventually disintegrate), and record all your family history details in there. When you do come across any information relevant to the family always note the place e.g., NAI (National Archives of Ireland), GRO (General Register Office), date, and all the relevant details. For example if you searched the baptismal register for Mallow, record the exact years you looked at, any relevant baptism to your family, and the positive number of the microfilm in the National Library of Ireland. I recently spoke to someone who had been searching for 12 years for estate records he had previously seen that related to his family. He hadn’t written down the manuscript number or where exactly he had seen them. We did eventually find the correct estate records but it’s a salutary lesson! 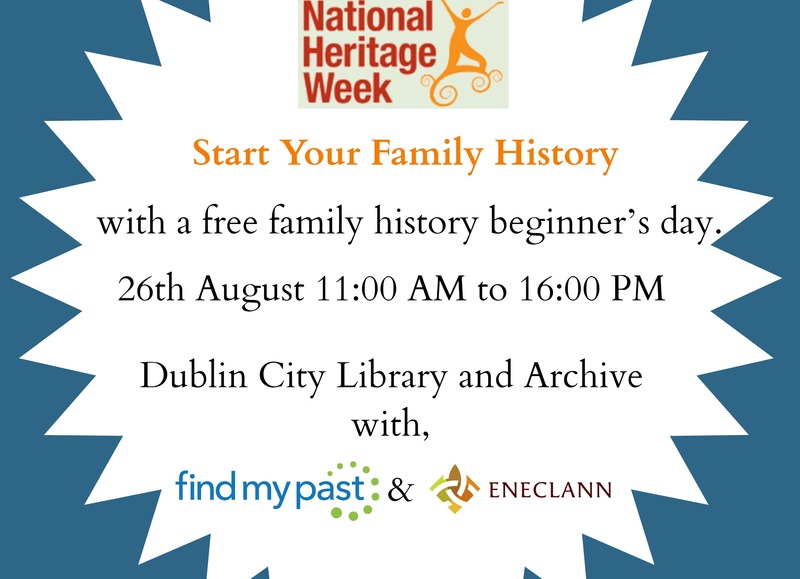 This entry was posted in Newsletters and tagged Ancestor Network, August events.Princess Charlene, Eneclann, Family History, family history news, free genealogy service, Genealogy experts, Genealogy News, Irish research, Lunch Time Talks, National Heritage week, National Library of Ireland, newsletter, nli, reseacrh tip, The genealogy event 2014.free lunch-time talks, Twentyx20 Lunch time talks.